Bannockburn brings a traditional philosophy to its contemporary methodology. 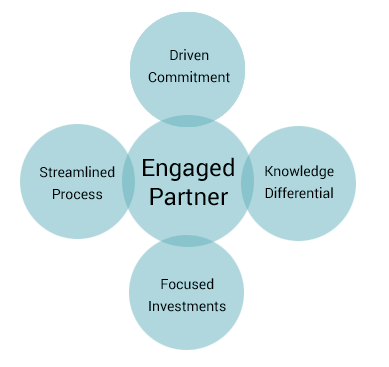 We believe our role starts with being a dedicated, engaged, partner for each of our clients. We strive to learn not only about your business situation, but also about you, so we can be an advisor that anticipates and addresses your needs–allowing you to stay efficient and focused. active partner. Ready when you need us. We take a solutions-focused, consultative, approach, learning quickly to understand your specific goals, challenges and constraints. Our individual 30+ years in the industry means you get not only Bannockburn’s hard-won experience critical to today’s complex decisions, but by extension the wisdom from a network of relationships with investment, governmental & business leaders throughout the nation across a broad spectrum of asset classes. Better targeted, quality investment solutions carefully considered by the Bannockburn team provides you greater efficiency in the investment evaluation and decision process. There is no time to waste so we keep our communications direct and transparent. With everything out on the table, together we can simplify and efficiently execute not only the external investment process and flow, but also the internal process as well. Bannockburn Capital is driven to win, including winning your partnership over the long term. We are dedicated to providing value throughout the entire investment process– from the initial assessment, proposal, due diligence, decision, closing, to the final distribution.